For HPG 2018‘s keynote (co-located / two days before SIGGRAPH 2018) I’ll be discussing some of the latest advances in game raytracing, but most notably some of the open problems. With DXR making raytracing more accessible, and bringing us one step closer to “real-time raytracing for the masses”, the gap between offline and real-time is significantly getting smaller. To that, tailoring some of the existing offline raytracing approaches to real-time doesn’t happen overnight, can’t be done 1:1 nor free of compromises, as many of you saw in our GDC/DigitalDragons PICA PICA presentations. Existing offline approaches are definitely not free of problems, as raytracing literature and algorithms have originally be designed with offline in mind. HPG is a great forum for discussing these sort of things since lots of folks in research are definitely interested in what DXR can enable for their research, want to know what problems we are trying to solve, and how their research can be adopted by the games industry. That said, I would appreciate any feedback from fellow developers & researchers about what you think are the most important open problems in real-time raytracing. Already have a few, but definitely interested in hearing your thoughts on the matter. So, what’s your #1 open problem with real-time raytracing? For the past few weeks, I’ve been exploring ISPC (Intel SPMD Program Compiler) and experimenting with a few ideas I have in mind around CPU and GPU interop that work well with the SPMD (single program, multiple data) model. Along the way I felt like something was missing. What if I was able to write ISPC kernels in a way that I’m super familiar with, such as HLSL? And so I’ve created this HLSL-to-ISPC helper library: a utility library with helper types and functions to provide similar syntax to HLSL inside the ISPC programming environment. 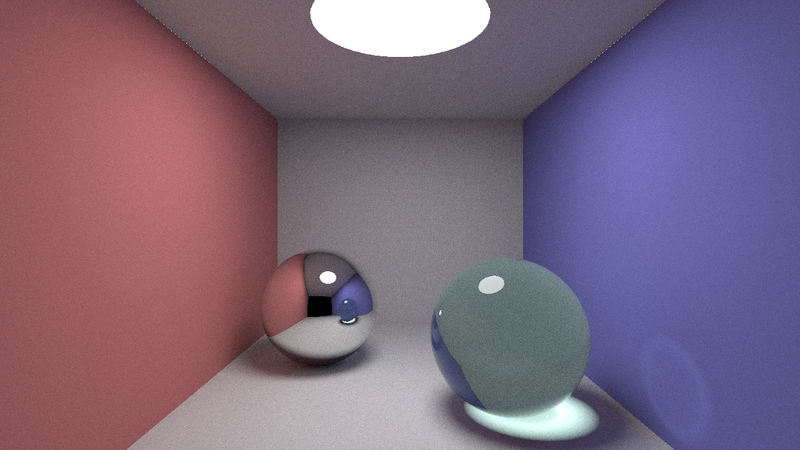 The first project (ispc-smallpt) is an ISPC implementation of Kevin Beason’s famous smallpt path tracer. The following two are shadertoys (originally from Inigo Quilez) that got converted to ISPC. 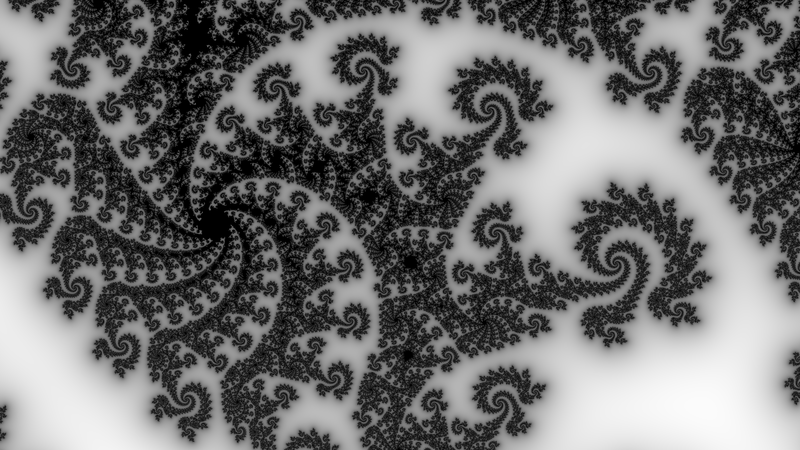 Finally, the fourth example is an implementation of Worley cellular noise. All of the previous use the HLSL-to-ISPC helper library. It’s also a great way to validate that the library works, with minimal alteration to the original code as it gets transformed to ISPC. The library is not complete, but good enough for now to get started. Please check the Github page for upcoming features and updates. I plan to keep improving it during the following months, with additional test cases, mini-projects and new features. Moreover there is a lot to be said regarding CPU/GPU interop, and I hope to find some time in the following months to chat more about it. In the meantime, please check out the library and let me know what you think, find any bugs, or even if you want to contribute. This post is from a multi-part series titled “Hexagonal Bokeh Blur Revisited”. Want to jump directly to the index? If so, click here. The half sample offset highlighted in bold shows how to prevent this issue. We also apply a half sample offset to stop overlapping rhombi. Otherwise you’ll end up with a double brightening artifact in an upside Y shape. 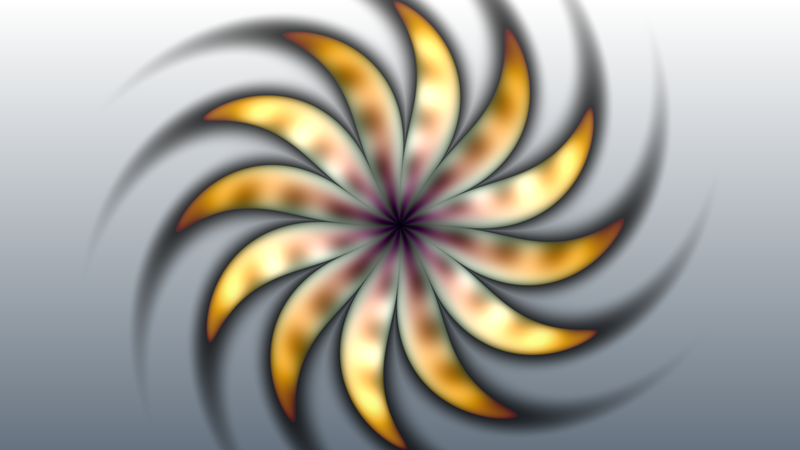 So far, we’ve shown how to build a separate hexagonal blur in two passes. While the shape is interesting in its basic form, one can definitely change it. Alternatively, works really nicely with a ton of them! While this might sound obvious to many of you out there, I’ve had 2 people mention on separate occasions that they had issues achieving this. Might be with the way they approached the hexagonal blur, but with our separable approach it’s actually quite simple. Just offset your angles and let the trigonometry do its magic. As seen previously, we can achieve this blur in a pretty straightforward fashion in three passes. The code below demonstrates an improvement over such approach, by achieving the blur in two passes. Since it builds on the previous post, make sure to read it beforehand. If this is obvious to you, I invite you to skip to the next part. We have MRTs, so let’s combine both blurs in the same pass. Much simpler! Also means we don’t have to read a temporary (vertical) buffer unlike in the previous 3-pass approach, since we’re doing this all at once. The final step is the rhomboid blur. This is similar to the 3-pass approach. Again, this is done in two parts: via a 30 degrees (-PI/6) blur, as well as its reflection at 150 degrees (-5PI/6). Yup! Just making sure. Details provided for posterity, and I’ll also be building on this part and the previous for the upcoming sections. Again, a code sample is provided here. You should be able to toggle between both versions and see… that there is no difference.